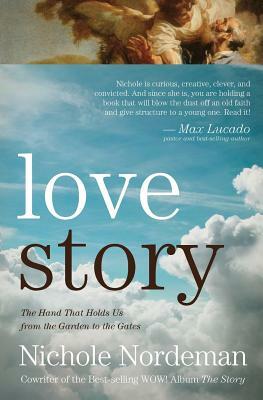 Based on the #1-selling Christian album The Story (EMI/WOW), lyricist and Grammy-nominated artist Nichole Nordeman helps readers embrace God's relentless, loving pursuit of the most weak and sinful among us from the beginning of time. Love Story: The Hand That Holds Us from the Garden to the Gates was published by Worthy Publishing in May 2017. The ISBN for Love Story: The Hand That Holds Us from the Garden to the Gates is 9781683970927. Be the first to review Love Story: The Hand That Holds Us from the Garden to the Gates! Got a question? No problem! Just click here to ask us about Love Story: The Hand That Holds Us from the Garden to the Gates.